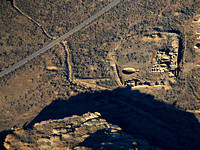 Energy development (natural gas fields, coal mines and coal plants, uranium mines) is intensive in the area surrounding Chaco Culture National Historical Park (Chaco Culture NHP) in Northwestern New Mexico. 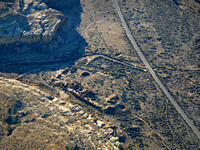 Chaco NHP is designated as a World Heritage Site by the United Nations Educational, Scientific, and Cultural Organization (UNESCO) and is one of the finest examples of Puebloan culture centers in the Southwestern United States (inhabited AD 850-1250). 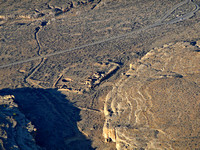 Chaco Culture NHP is managed by the United States Department of Interior, National Park Service (NPS). 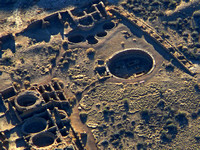 Visitors to Chaco Culture NHP are drawn to the classic mesa/canyon area to see significant archaeological features that include architecture, rock art and pottery; and archaeological-astronomical features associated with the night sky. Chaco Culture NHP remains a relatively remote setting that was believed to be a spiritual, trading and/or cultural center of the ancestral Puebloan culture. The BLM updated its Resource Management Plan for the Chaco area in 2013, taking into consideration the impacts of oil and gas drilling technologies that have come into use since the original plan was written in 2003. 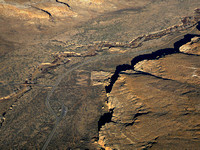 The Environmental Assesment suggesed that certain BLM lands around the park should be off-limits to drilling based on their cultural and environmental resources. But protecting the area through piecemeal and lease-by-lease decisions has its downfalls, like the leases 2,122 acres that were postponed in 2016. The leases were postponed indefinitely, until further environmental analysis can be done to determine the impact that drilling would have to the natural and cultural resources there. Citizens and conservation groups are supporting the implementation of a Master Leasing Plan to deal with some of these conflicts. A Master Leasing Plan would provide a focused analysis of the impacts from potential oil and gas development on the Chaco region. It would also help determine where and how leasing should take place in order to protect the cultural and natural resources of Chaco Culture NHP, along with impacts to the region outside of National Park Service management. 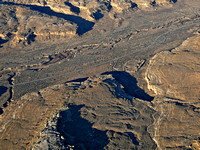 Our conservation partners have been working in the area to the north of Chaco Culture NHP to document the effects of 40 years of coal mining and the two existing coal-fired power plants (Four Corners Power Plant and San Juan Generating Station) and natural gas facilities in the Shiprock and Farmington areas. The extensive disturbance from the existing coal facilities and over 20,000 natural gas wells is evident.